The Harvard Graduate School of Design (GSD) has announced the appointment of Iñaki Ábalos as chair of the Department of Architecture. Ábalos is currently a Professor in Residence at the GSD where he has lead studios, lectures, and seminars grounded in technology and history,with a focus on the thermodynamics of architecture. As a founding member of both Ábalos + Sentkiewicz Arquitectos and Ábalos and Herraros, his work has focused on the intersection between architecture, technology, landscape, and culture. He will assume his new post July 1, replacing current chair Preston Scott Cohen. Ábalos received his masters and PhD in architecture from Superior Technical School of Architecture of Madrid at the Technical University of Madrid, where he went on to teach, eventually becoming Chaired Professor and Director of the Master in environmental and landscape studies. 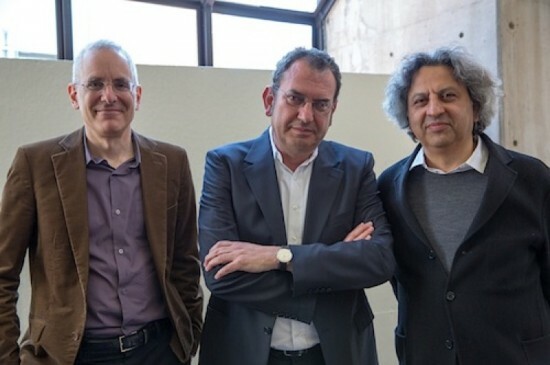 Ábalos has since held faculty positions at Federale Lausanne, Columbia University, Princeton University, Cornell University, and the Architectural Association. He has also written extensively on architecture, with works including Le Corbusier Skyscrapers, Tower and Office, Natural-Artificial, The Good Life, and Picturesque Atlas.